As they saying goes, it takes a village to raise a child. So what does education look like when you listen to the village to learn what it needs? Earlier this month, the W.K. Kellogg Foundation and The Kresge Foundation announced their newest initiative, Hope Starts Here. The 10-year comprehensive blueprint will address the dire need for quality early education in Detroit through an initial $50 million commitment from the foundations. Kellogg announced that half of its investment, over $12 million, would be spent in the next 12 months. The initiative launched its planning phase a year ago with an important first step: finding out what parents wanted. The team recruited and trained residents to host sessions to listen to parents in their community. In total, the initiative engaged with over 18,000 parents, caregivers, teachers, and community members to create a series of six imperatives and 15 interlocking strategies. 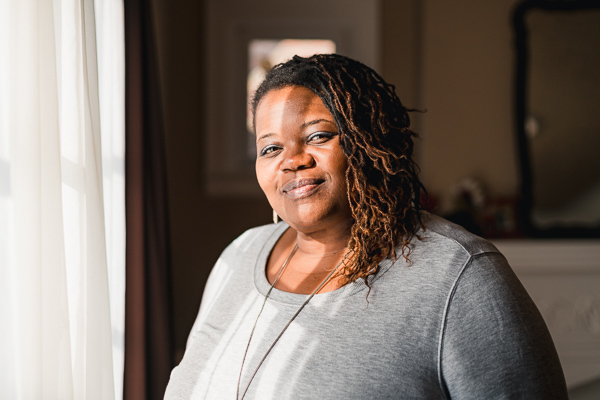 Bernita Bradley, a recruiter for Hope Starts Here, became involved in education reform after experiencing the ongoing challenges navigating the Detroit school system as a parent. Now she is the Community Development Manager at Brilliant Detroit, an organization that helps create early child and family centers in neighborhoods. "This is an unheard of brainstorm to see what kids need," Bradley says. "To parents it is monumental. They think, 'Wow someone is actually listening to me, they are not putting anything into action without me.'" Bradley, whose children attended 16 different schools across nine districts, is no stranger to the difficulties parents face in the Detroit school system. She experienced classes with too many kids and unstable teachers who didn't seem to be teaching. Bradley emphasized the importance of addressing the needs of parents. "It starts with the home," she says. "If the families don't have certain resources, they won't be prepared before they go to kindergarten." At the Hope Starts Here Unveiling at the Charles Wright Museum, Rip Rapson, President and CEO of The Kresge Foundation, outlined tangible projects including upgrading educational facilities, building a new early childhood learning center, increasing wages for educators, and improving professional development. In addition, the initiative will also provide scholarships to parents who need childcare. By 2027, Hope Starts Here wants to see Detroit putting children and families first. Mark Davidoff, Chair of the Michigan Chamber of Commerce, believes that efforts to bring back the city must start with the children. "We always hear 'live, work, play, Detroit.' But unless we add 'raise our children,' we will not accomplish anything." Jonetta Banks, an eastside resident, has been involved in the initiative since December of 2016. As a mother of nine children and four grandchildren, Banks wants Hope Starts Here to improve child health care and pregnancy assistance. "I'm excited to see the progress," she says. The framework focuses on the first eight years of a child's life, which "provide a critical window of opportunity to change children’s lives—and our communities—for the better." The initiative is a holistic approach to early childhood education, beginning with comprehensive health screenings. Kids who grow up in poverty face higher risks for health and academic problems. Detroit's children face extreme disparities, even before birth. The infant mortality rate in the city is more than twice the national average. More than 60 percent of children ages 0 to 5 live in poverty. More than 86 percent of Detroit's third graders are not reading at grade level. LaJune Montgomery Tabron, President and CEO of the W.K. 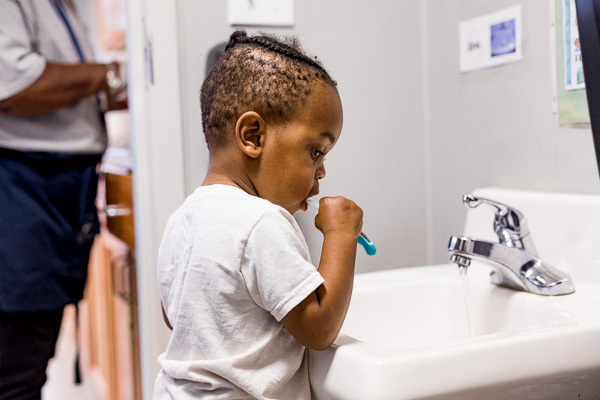 Kellogg Foundation, stated the initiative will create opportunities for parents to become educators, recruit more men into early childhood education, and implement new neighborhood grants for early childhood education. As part of the initiative, Tabron also announced the launch of the Detroit Early Childhood Advocacy Network to inform the community with critical information. The Detroit Public School system will be involved as well, according to Superintendent Nikolai Vitti. "This will not reach its true potential if it's not integrated with the school district," he says. "Often initiatives create an initial wave, but then dissipate. As a district we are going to open our doors for collaboration." Rashad Buni, an organizer for affordable and accessible family care at Michigan United, says that in order to address the root of the issue, poverty, massive policy change is needed. "We can't just be advocates, we need to empower people in the community to take control as well." Buni was interested to see how the Hope Starts Here initiative intersects with others in the city. "We must include Detroit's children and the ones disproportionately caring for them: women of color." Of course, an integral part of the village are the children themselves. The initiative has uplifted their voices as well. In a brief video at the Hope Starts Here unveiling, small children spoke about their dreams and aspirations behind a pile of blocks. "I want to be a good cop," one said. Another said, "I got a lotta persons to be." Read more articles by Margo Dalal. Margo Dalal is a community organizer in Detroit. She is currently pursuing her Masters of Social Work at the University of Michigan.